Carole King could have been in San Francisco on a day like yesterday when she wrote that line. 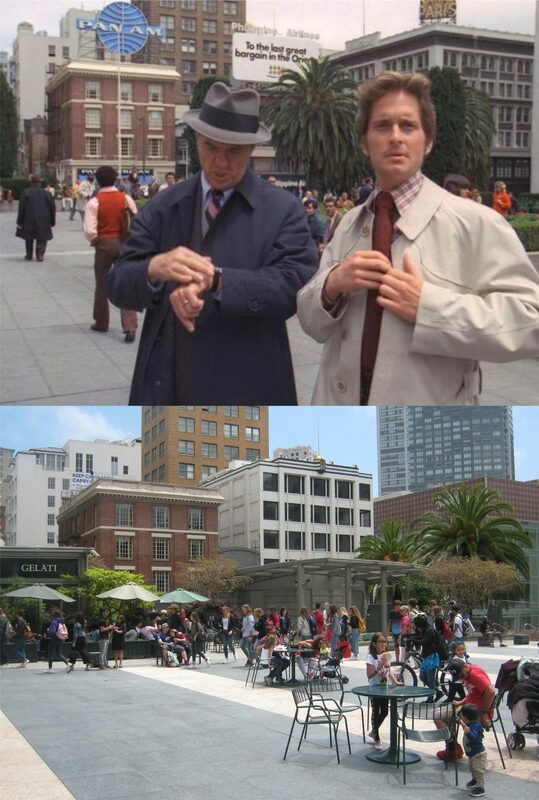 I spend more time in San Francisco during the month of May than any other month. In May, the weather in San Francisco is always “mellow”, (except, when it isn’t). On Friday I took a springtime walk around Nob Hill, North Beach, and Fisherman’s Wharf. May is a good time to fall in love in San Francisco and I fell in love with every girl who smiled at me when I passed by, and even those who didn’t. DiMaggio’s Restaurant from the Fisherman’s Wharf Boat Lagoon in a snapshot my teenage mom took in the summer of 1939: You can still see four of the buildings that were in my mom’s photo.